Nathan Freke moved to Rockingham for round two of the 2017 British GT Championship hoping to build on his GT3 debut at the opening rounds in Oulton Park. Apart from some selected one-off outings in the past, 2017 was the Kidderminster driver’s first fully committed season racing in British GT’s top class, and he was keen to make the most of the opportunity. Benefiting from a full pre-event test day at the unique American-themed circuit, Freke, already a Rockingham race winner was hoping this would be the weekend to show the potential of the improved Ginetta G55 GT3. Following a trouble free run in Free Practice one, Freke and co-driver Harry Gottsacker found themselves searching for more time from their car compared to their teammates in the sister #19 G55. Working hard between the sessions with their engineers, Free Practice two was far more representative of the improved pace of the GT3 Ginetta. Nathan and Harry completed the session inside the top ten, Freke’s best effort placing them just over a second off the sessions best time. Rejuvenated following their Free Practice two form, the pair were set for Qualifying which would run in the customary two ten-minute session format. Gottsacker was first on circuit to complete his part, achieving the 11th fastest time in the ultra-close session. Freke was next on board to post his best effort. Improving on his earlier time, Nathan’s 10th fastest time helped the pair to start the race from tenth on the grid for Sunday’s race. With everything going to plan during Sunday morning’s ten-minute Warm-up, the crew were setup nicely for round three of the 2017 British GT Championship, this weekend with a running distance of two hours that would see drivers complete their scheduled pitstop at the one hour mark. 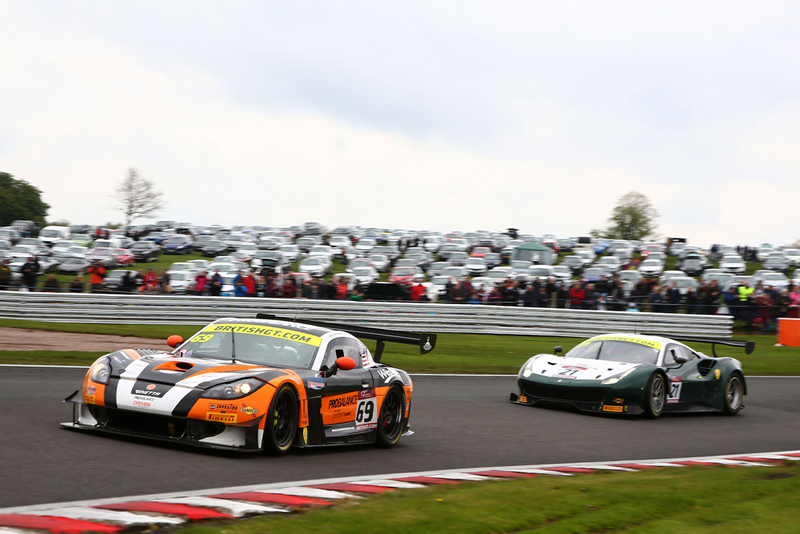 Harry Gottsacker took the start in the #69 Ginetta and when the race got underway, he looked set to repeat his Oulton Park early performance, moving up one position by the end of the opening lap. However all his good work was undone during the second lap, when an ABS sensor issue caused him to run off the track at Tarzan, necessitating a Safety Car to aid his recovery. Limping his Ginetta back to the pits, the team quickly gave the car the all clear, enabling him to re-join the race. Using the remainder of his stint to increase his GT3 experience, Gottsacker’s race took a further blow when the officials deemed him to be exceeding the track limits, handing him a five-second time penalty for the offence. Pitting after one hour and fifteen minutes on circuit, Nathan Freke took over to complete the race. However their race was set to take a further twist, with the officials deeming their pitstop to be inside the minimum stop time and earning them a 30 second stop and go penalty. It later turned out that the penalty was caused by a calculation error on the part of the event Timekeepers, but cruelly Freke had now served the penalty and the damage to their race was done. From there it was a series of development laps for Nathan over the closing stages of the race, gathering some valuable data ahead of the next rounds at Snetterton. Rounds 4 & 5, Snetterton 300, Norwich, UK - Saturday 27th & Sunday 28th May 2017. With limited testing opportunities in the run up to the first event for Freke and his British GT rookie teammate, Harry Gottsacker, the pair were hoping to make the most of Friday’s two short test sessions, in addition to the standard Free Practice running on Saturday. Running through a pre-defined programme for the sessions, both Freke and Gottsacker were making good progress in the heavily revised G55. Despite having to deal with a severe Balance of Performance adjustment to the car, both were confident in their wet weather pace and starting from sixth and ninth for Monday’s two single hour races, would put them in a good position to be ready to capitalise. 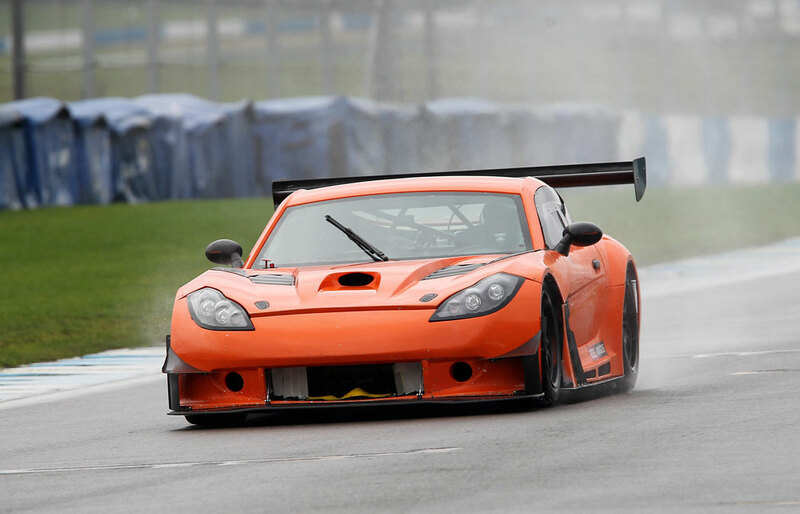 Monday morning arrived and with it came the much sought after wet weather conditions to favour the Ginetta. Their pace was confirmed with the fifth fastest time during the morning’s ten minute pre-race warm-up. American Harry Gottsacker would be first in the car for the opening race of the 2017 season, and starting from sixth he was immediately mixing it with the seasoned regulars when the race got underway. Breathing heavily down the neck of the TF Sport Aston Martin during the early part of the race, Harry was showing no signs of being a newcomer to this highly competitive championship. Pitting the car from fifth, Nathan Freke took over to complete the race. Returning to the track in 13th, once the pitstop cycle was complete he was back up to seventh, initially with the Rollcentre Mercedes for company but laterally, the Spirit of Race Ferrari with works driver Matt Griffin aboard. Holding back the Italian Stallion for as long as he could, Griffin found a way past on lap 25 and from there Freke would take his Ginetta G55 to the end in eighth overall and first in the GT3 Silver class. With the track now starting to dry out, it was back to slick racing tyres for the second and final race of the day on Monday afternoon. Nathan Freke would carry out the opening stint on this occasion, starting the race from ninth on the grid. Getting a good start in the now dry conditions at Oulton Park, Freke was once again in battle with Martin Short in the Rollcentre Mercedes AMG. Pitting from ninth on lap 18, Harry Gottsacker took charge of the #69 Ginetta hoping to repeat his earlier impressive pace, this time in dry conditions. However all was not well under the bonnet of the G55, and it wasn’t long before Harry was back in the pits and would ultimately end up going into the garage for further diagnosis. Despite their non-finish in the second race, overall the weekend was a positive start to the year and both now look forward to taking on the slightly longer two-hour round three at Rockingham Motor Speedway in two weeks. Rockingham Motor Speedway, Corby, Saturday 29th & Sunday 30th April 2017. The Fenny Compton team are set to continue their expansion for 2017 having confirmed a deal with leading British Sportscar manufacturer Ginetta to act as their Factory team, fielding a pair of vastly improved and re-engineered Ginetta G55 GT3 entries for the 2017 British GT Championship. For 2017, the Ginetta G55 GT3 will sport several improvements that both the team and Ginetta hope will enable the car to challenge for it’s first outright British GT win. The major developments include an all-new 570bhp Chevrolet LS3 engine that is now repositioned to improve weight distribution. A revised front splitter will aid front downforce while the driver experience has also been re-designed to include revised braking master cylinders that require less physical effort, along with a new Motec driver interface and tactile keypad controls. 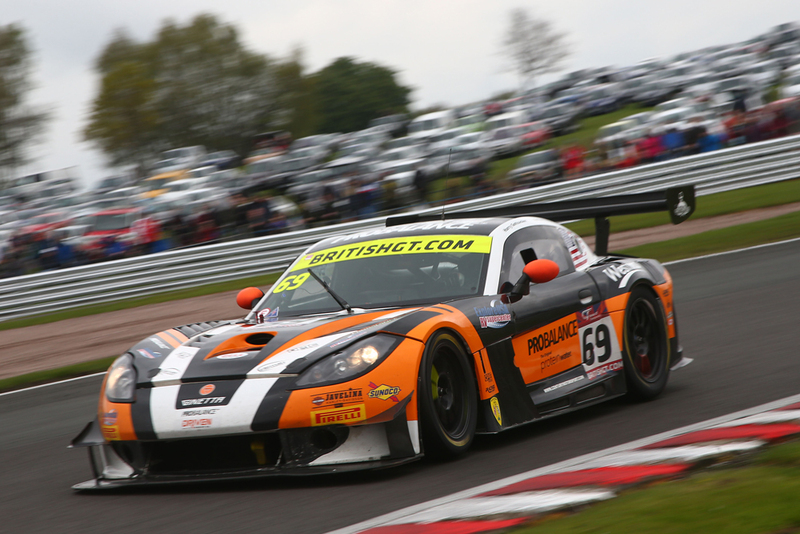 No stranger to a variety of Ginetta machinery, Freke is a proven winner in any car, in any situation, and proved his talent on several occasions during the 2016 season racing in the University of Bolton backed Ginetta G55 GT4. For 2017, Nathan feels he now has the best opportunity to show what he is really capable of, with a committed season in the top flight of Europe’s leading GT Championship. 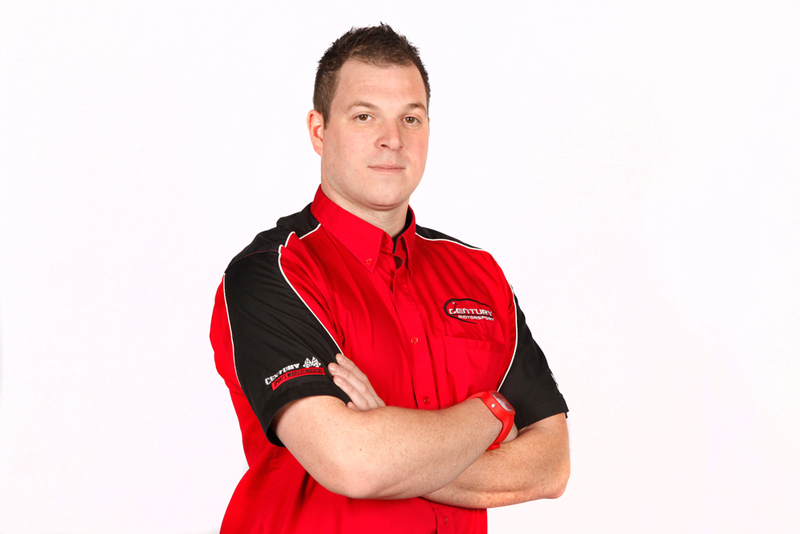 Joining Freke in the GT3 Ginetta, will be American Driver Harry Gottsacker. 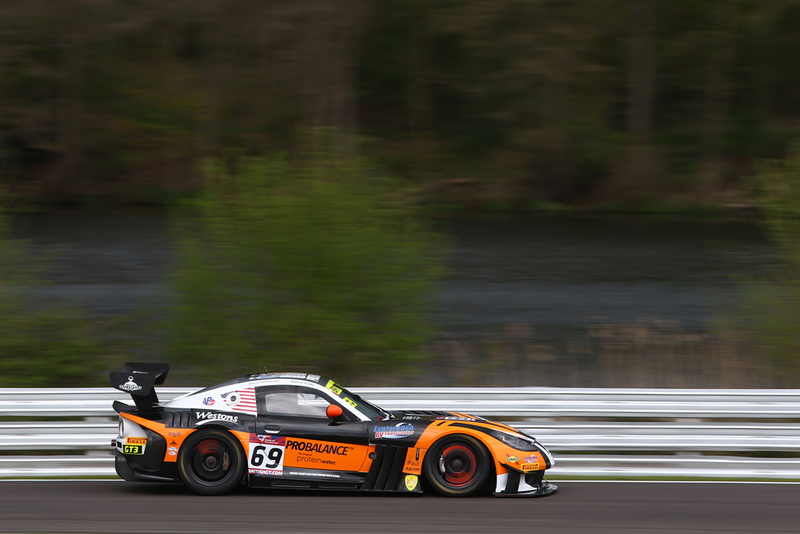 The 17 year old comes fresh from a season racing in the Pirelli World Challenge at the wheel of a Performance Motorsports Group run Ginetta G55. With a best finish of third in Utah, 2017 will represent a big step up for the Texan driver, as he takes to some of the UK’s best circuits for the first time.